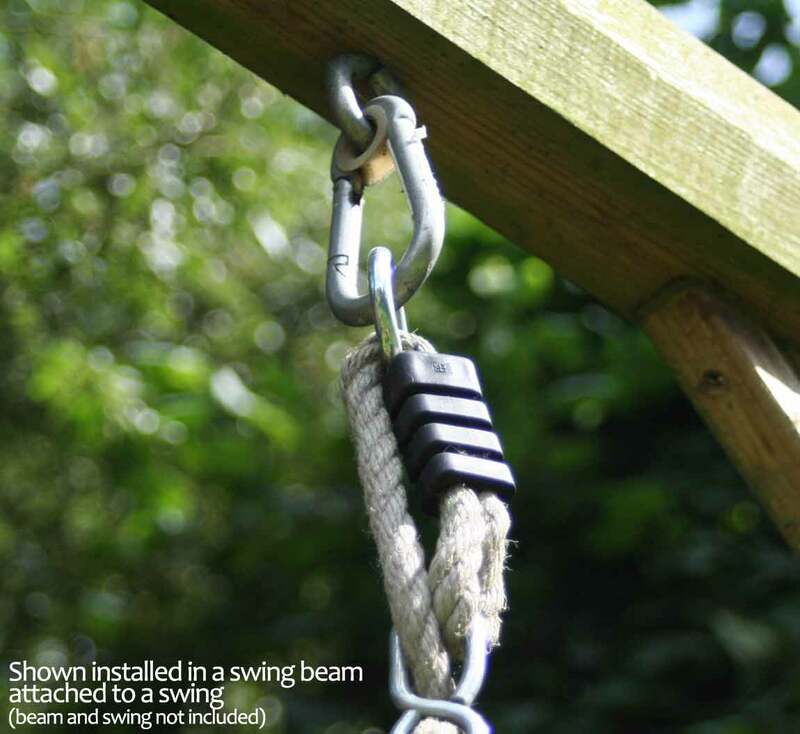 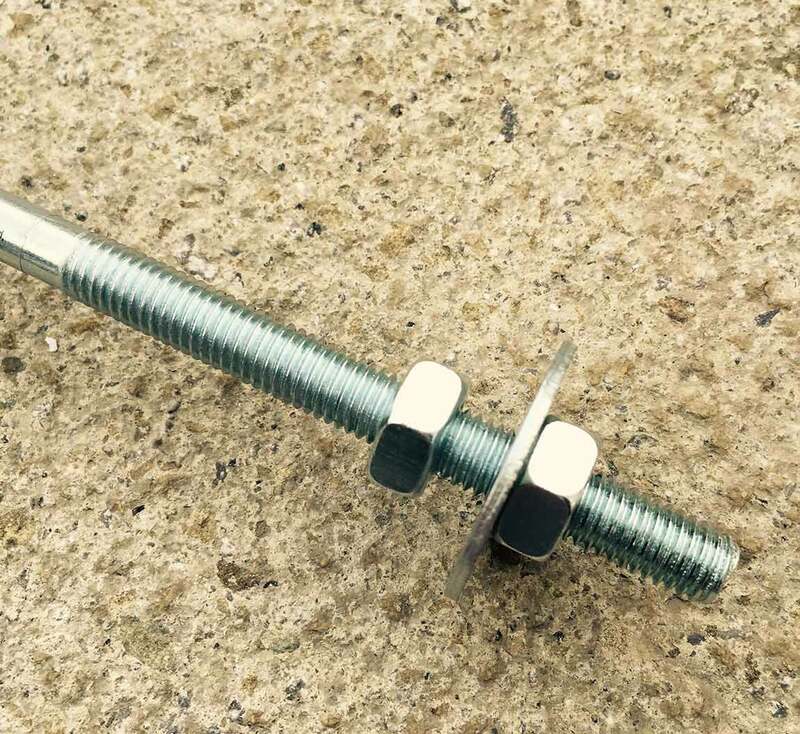 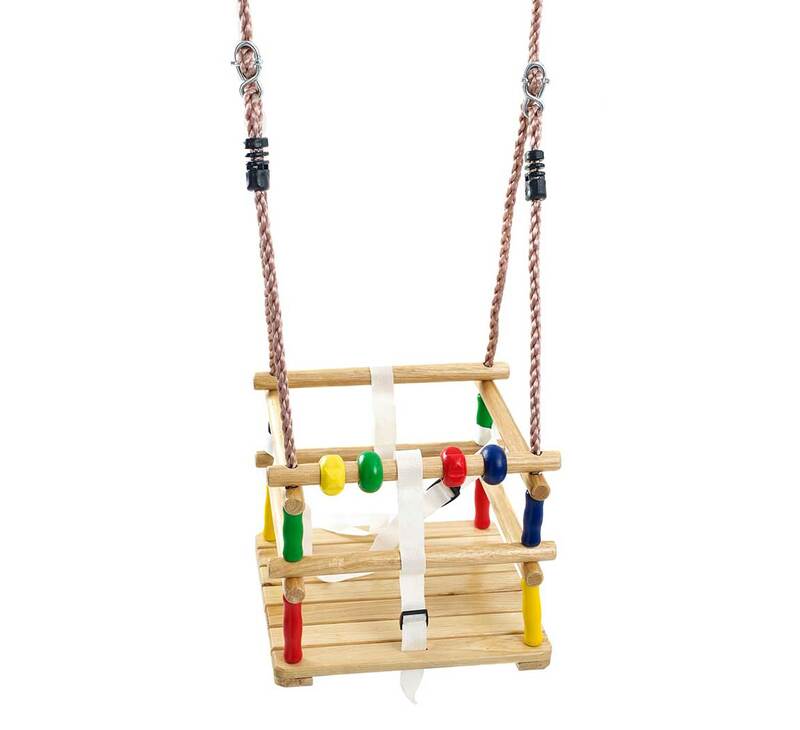 This pair of swing hook 'through' is the perfect way to create your own swing set - or fix an existing one! 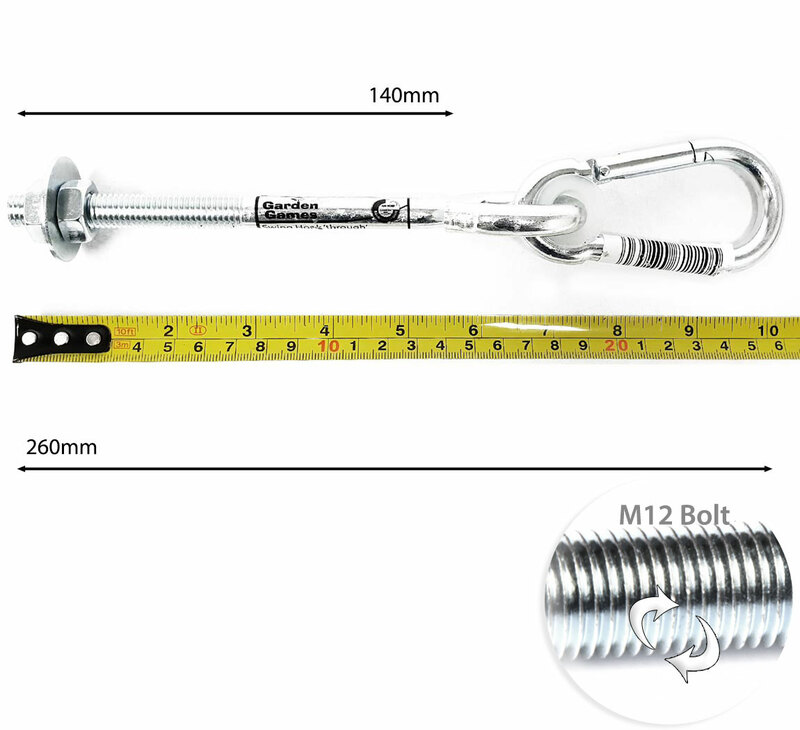 Each swing hook is 260mm long and can be used on round or square beams of up to 120mm in thickness. 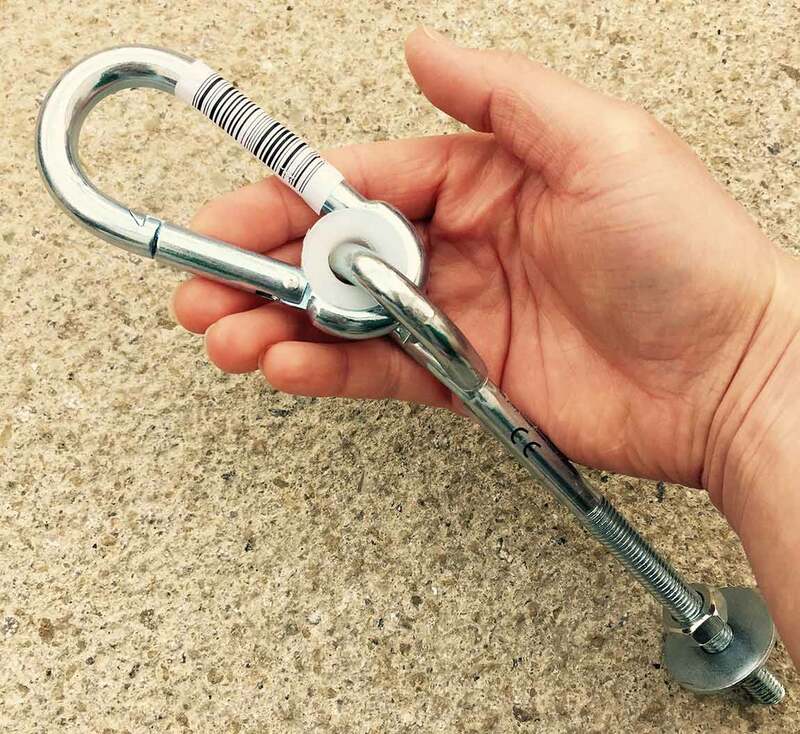 Made from galvanised steel this is an extremely hard wearing and durable swing hook. 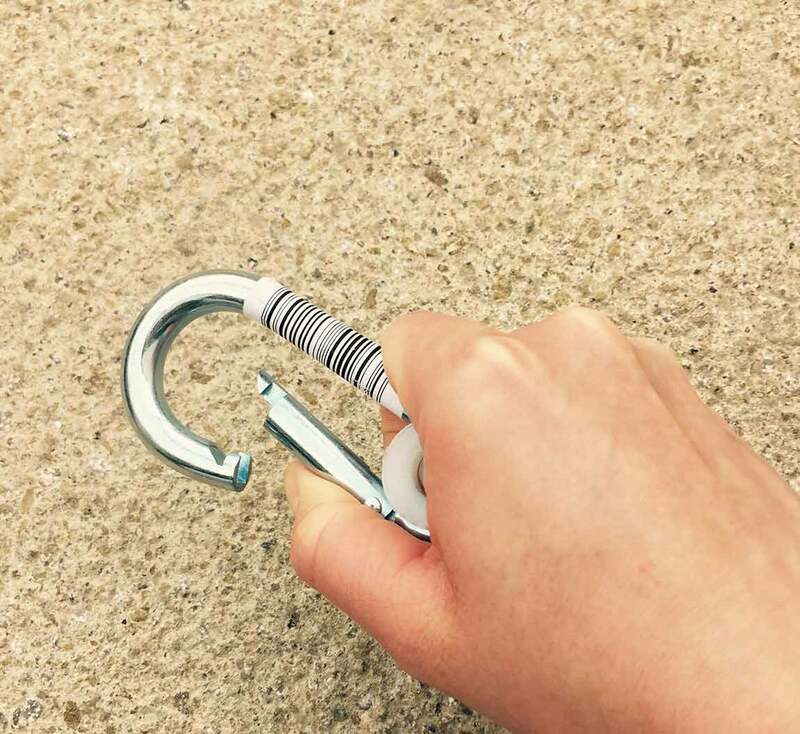 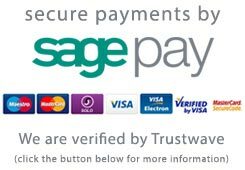 It is made up of a long steel bolt attached to a carabiner clip with a nylon bearing to keep your swing smooth and quiet. 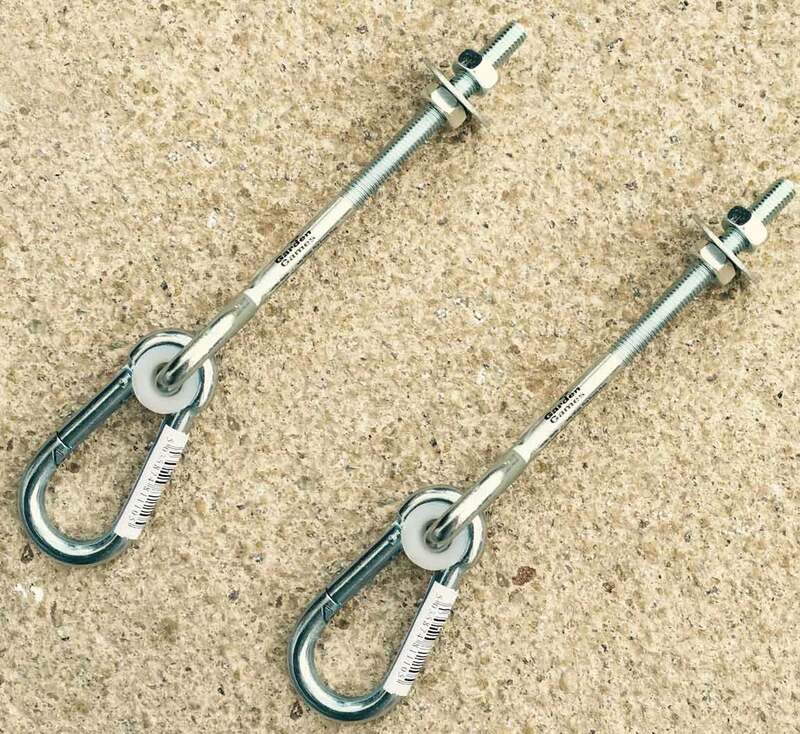 Tested to 200kg.